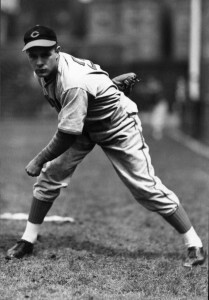 Johnny Vander Meer threw back-to-back no-hitters in 1938. Part 4 of our look at baseball’s six “other” back to back starts — the nightcap of a day-night blog-post doubleheader — features the Detroit Tigers’ Les Cain. Our series is in recognition of Cincinnati Reds pitcher Johnny Vander Meer’s amazing accomplishment 78 years ago. On Saturday, June 11, 1938, Vander Meer no-hit the Boston Bees at home at Crosley Field. Four days later, he threw another no-hitter against the Brooklyn Dodgers at Ebbets Field to become the only major-league pitcher to throw back-to-back no-nos. Mike Moore, Frank MacCormack, Gary Gentry, Les Cain, Sandy Koufax and Rex Barney all threw back-to-back no-hit starts, though none of their outings went nine innings. The details of those starts generated using http://www.baseball-reference.com‘s superb Play Index are below, and we’ve been taking a closer look at each of the pairings each day. 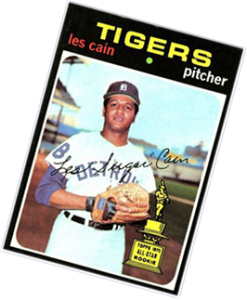 Les Cain was a member of the Detroit Tigers rotation in 1970 and 1971, starting 55 games over the stretch. That’s second only to Mickey Lolich. But Cain began drawing the ire of Manager Billy Martin in the start of the 1972 season after getting off to an 0-3 start. Cain’s struggles were partially attributed to a bad shoulder, but it was clear by newspaper accounts that Cain was getting on Martin’s nerves. Cain took the ball against Milwaukee at Tiger Stadium on May 24, 1972, and held the Brewers hitless through 5 1/3 innings, but he got into trouble in the sixth inning by issuing his third, fourth and fifth bases on balls of the night. Cain walked pinch hitter Ron Theobald and retired Bob Heise on a ground out before walking Tommie Reynolds and George Scott. Martin gave the ball to reliever Fred Scherman, who allowed all three inherited runners to score. Cain’s next start came four days later at Yankee Stadium, and after Cain issued a leadoff walk to Horace Clarke, Martin had seen enough. Cain was pulled from the game,. placed on the disabled list and never again appeared in a game for the Tigers or any other MLB team. Cain had just technically thrown back-to-back no-hit starts, and they were his last in the majors.